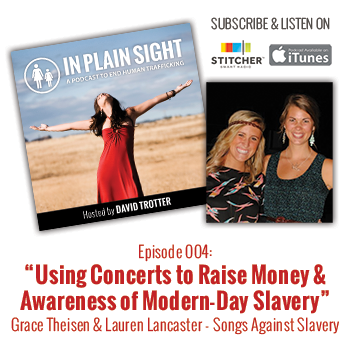 After becoming aware of modern slavery during their freshman year in college, they wanted to do something to raise awareness of the issue and support anti-trafficking organizations. Since 2011, they have organized 12 benefit concerts and raised over $30,000 for nonprofits in the United States. How Grace and Lauren got started. What they’ve learned by putting on concerts in various venues. The basic steps to hosting your own concert. The importance of flexibility and grace. ENDcrowd is fighting to end modern day slavery, harnessing the power of the crowd (that’s you and me) to raise funds for innovative projects that combat slavery in a variety of ways, and they currently have six projects they are inviting us to crowd fund. Watch the videos at Endcrowd.com.